Sometimes great things come to those who wait. 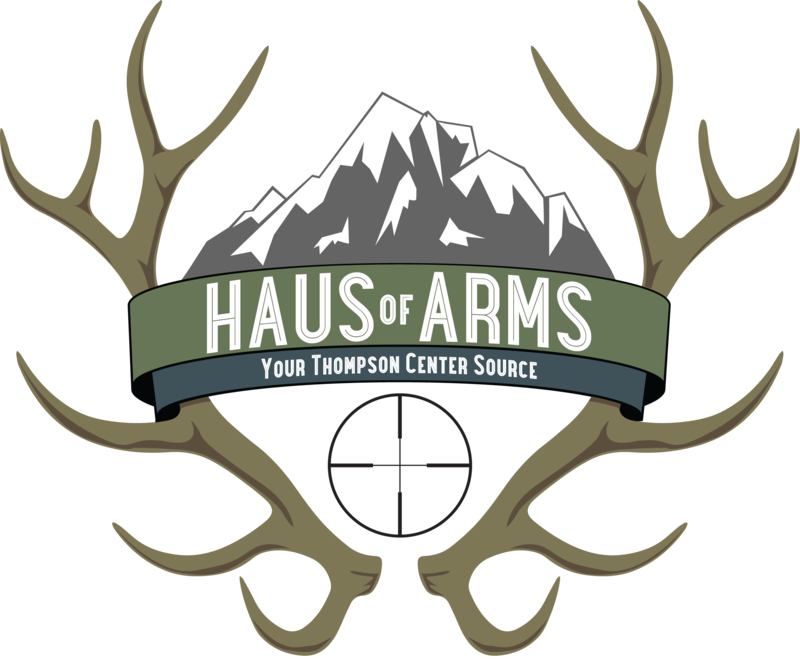 April 2017, Atlanta NRA Show, Eric suggested to a group of TC people that a rack of HausofArms Custom Packaged Guns would look really sweet at the end of the factory offerings. WELL...He brought that idea back home AND... that dream shot took place at the Great American Outdoor Show in Harrisburg PA starting on 2/3/18. 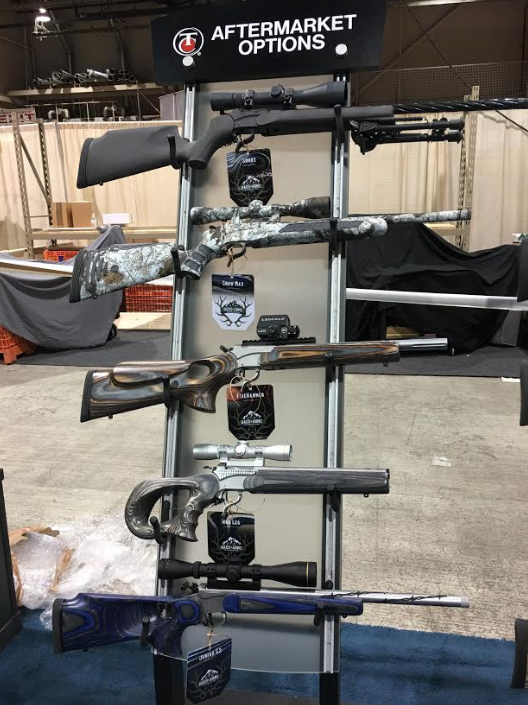 That custom rack of HausofArms Thompson Center Encore and Contender offerings drew quite a crowd, literally turning the heads of the passers by and bringing many to the TC aisle that had previously only thought of TC as "that muzzleloader company". Nine days, 79 hours of floor time, countless Hog Leg grip demonstrations, opportunities to meet many HausofArms customers that traveled there to meet us in person, AND my personal favorite, helping many youth shoulder a rifle for the first time that actually fit them. Although the Hog Leg was the star of the show, the Junior G2 with it's Junior buttstock with a 13" LOP brought many smiles from kids and parents alike. Besides the Electric Blue stockset, it certainly didn't hurt to have one of the new MGM 6.5 Grendel barb wire fluted barrels as part of the package. 1) Mission accomplished with the Junior G2, if all it takes is a little sparkle and a stock that fits to get future generations involved in our "old man gun" world then we will lead that charge. 2) The crowds were huge as normal at that consumer based show BUT, I was told by many repeat attenders that they had never seen so much "buzz" and "energy" in the TC aisle. Eric's idea may have accomplished something else. I have no doubt that the show reports from the 25 or so TC/S&W reps will speak of that buzz and energy. We encouraged our TC base to show up and show your loyalty and be counted. Thanks to that TC base for a job well done. 3) If as I have reported that "change is in the wind" at Thompson Center then this show was further proof of change. Think of this from another angle, we are a small independent company that sells only the TC factory brand but we also sell "complimentary" lines of accessories that TC doesn't make and we were allowed that platform to freely display how factory and custom aftermarket can compliment and co-exist. We are extremely thankful to Danielle Sanville, TC Brand Manager, for helping to make this happen. and most of all my wife Ruth, who for 9 days stood beside me preaching with passion the HausofArms/TC message. Pictures will be on the HausofArms site by March 1st or so, available for presale at that time, with inventory on the shelves by April first. Man, I love my job.